Three people have died and more than a score have been injured in the fires that affect the center and north of Portugal today, where more than 5,300 firefighters try to control the flames. Two of the victims died in the municipality of Penacova, in the district of Coimbra, while the third died in the municipality of Sertã, in the district of Castelo Branco, according to local media. Both municipalities are located in the center of Portugal, one of the most affected areas, along with the north, by the wave of fires that cross the country, where this Sunday has registered the record of 443 fires. At present, 108 fires are still active-thirty of them considered of "high importance" -that fight more than 5,300 firefighters supported by 1,600 terrestrial extinguishing vehicles and more than 200 military, according to Civil Protection data. The Portuguese authorities have requested help to the European Union (EU) and Morocco to support the work of extinction. All districts in the country are on red alert for fire risk, a measure that will remain at least until 20.00 local time (19.00 GMT) tomorrow, Monday. 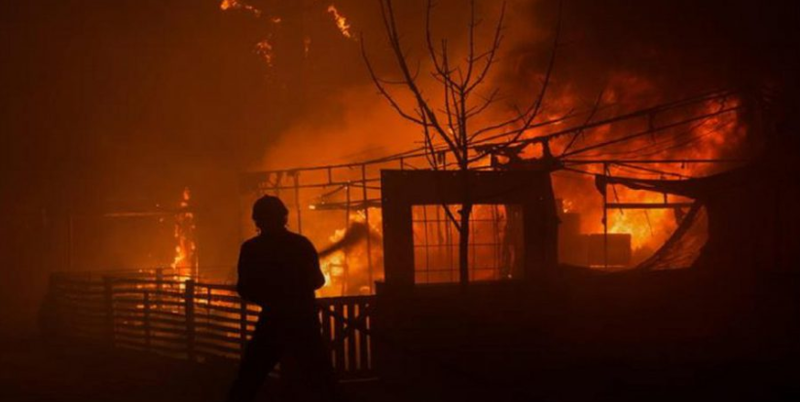 The high temperatures and the shortage of rains in the last weeks had led the authorities to prolong the critical period of forest fires until October 31st. The most serious fire this year was unleashed on June 17 in the municipality of Pedrógão Grande (in the center of the country), where 64 people died and more than 250 were injured.